It's here! 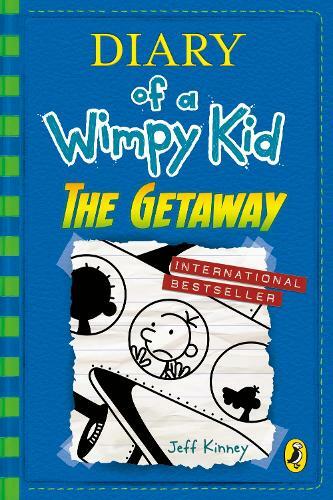 Book 12 in the phenomenally bestselling Diary of a Wimpy Kid series has arrived. Join Greg on a family holiday he'll never forget! It was supposed to be a relaxing family vacation but with the Heffleys things rarely go to plan! To escape the stress of the holidays, the Heffleys decide to get out of town and go to a resort instead of celebrating Christmas at home. But what's billed as a stress-free vacation quickly becomes a holiday nightmare. The funniest books you'll EVER read. Jeffrey Patrick Kinney is an American cartoonist, computer game designer, actor, movie director, producer and author of the internationally bestselling Diary of a Wimpy Kid series of children's books. In 2009, Time magazine named him one of the 100 most influential people in the world. This is officially the best wimpy kid yet! Love it lots and have read it 5 times through since I bought it!